The potential for machine learning to elevate the customer experience has everyone buzzing. But AI-powered text and sentiment analysis of customer comments may not be worth it for everyone. It is certainly not a cure-all for your CX woes, but it is an incredible solution for specific problems that CX pros may face. For those of you considering text and sentiment analytics, you most likely already have a customer experience strategy and a Voice of Customer (VoC) listening system. You have a C-suite sponsor who has been fostering a customer-centric culture across the entire company with Net Promoter Score (NPS) as the guiding star. You’re already asking for feedback through the entire customer journey and now that you have a relatively mature CX program, you’re wondering how to extract even more value out of it. Maybe there are new tools you can purchase to step up your game? How do you know if they’ll be worth it? You receive more than 1,000 comments per month — or you are headed there. If you feel excitement and dread regarding the amount of feedback you receive, or you’re anticipating many more comments soon, you can immediately benefit from text and sentiment analytics. Perhaps you’ve even had to cap the number of comments you receive in a day to avoid the overwhelming task of organizing and responding to everyone. Ideally, you want to listen to all of your customers, not just the people who talk to you first. This is an amazing problem to have, but a problem nonetheless. 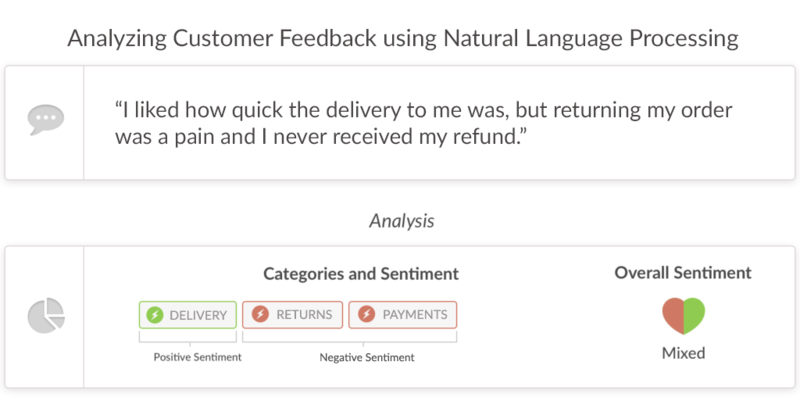 Using text and sentiment analytics, you can turn unstructured qualitative feedback, like NPS comments, into organized insight in a matter of minutes. Sentiment analysis determines whether the text regarding each of these themes is positive, negative, or neutral. It also analyzes the comment as a whole to assign sentiment to the entire verbatim. An example of insight you might gain through this kind of organization is that 80 percent of your negative comments are about pricing or 45 percent of your customers in the Northeast region are talking about delivery times. You know you’re sitting on a goldmine of feedback, but getting insight seems frustrating or impossible. Do you have a backlog of comments waiting to be read and sorted? From survey responses, or app store reviews perhaps? Maybe you’ve skimmed a few comments to answer the urgent ones but you keep putting off the others? 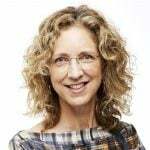 “The two biggest mistakes [in CX] are not doing qualitative research in the first place and then not putting it to use.” – Morgan Brown, product manager at Facebook and coauthor of Hacking Growth. One of our clients was running focus groups to prioritize feature requests because it seemed easier than getting insight from NPS survey comments they already had from thousands of users! Even if you’ve been spending the necessary hours reading and labeling these comments in an unwieldy spreadsheet, you might be frustrated by how difficult it is to get actionable insight. Mine the insight from the pile of comments that you’ve been sitting on quickly with text and sentiment analytics. Turn anecdotes and hunches you ’ve received about your customer experience into evidence-backed insight. 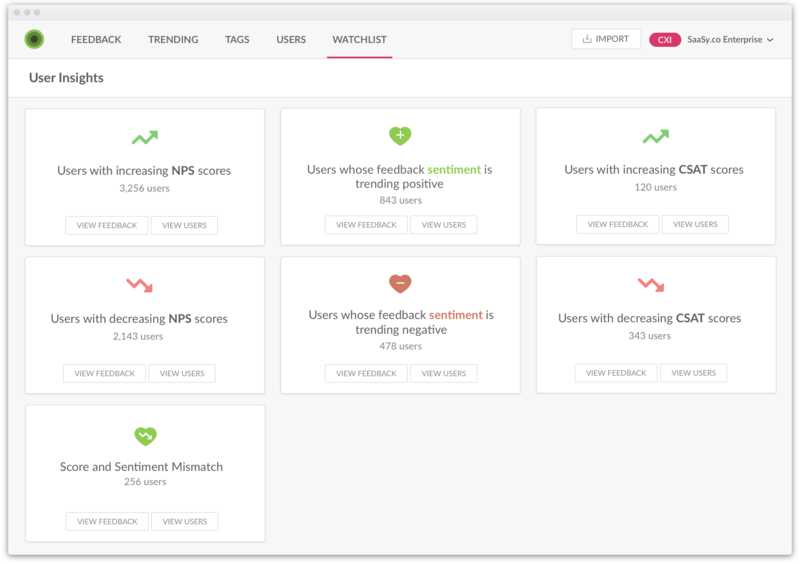 Slicing and dicing organized feedback is easily available with many platforms that offer text and sentiment analytics. This can help you understand the root cause of trends – like the needs of different customer personas or geographic regions – more comprehensively. Someone works full time or overtime to organize and categorize qualitative feedback. While machines are tireless and fast, humans still reign supreme when it comes to problem-solving and long-term strategy. That’s probably why you have a human analyzing your feedback, but very few humans are eager to slog through pages and pages of feedback. That’s what interns are for, right? Better yet, computers don’t have bad days or lose focus. Once organized with tags, your time is freed up to look at the themes and trends that arise from the noise, then create actionable strategies based on those insights. Now you can jump straight into action and the interns can work on more interesting, valuable projects! You need insight in real time to serve as an issue detection system. One of the benefits of having text and sentiment analysis is that your data and insights are updated in real time. This means you’ve got a new issue detection system. This works best for a more mature customer feedback program with an established baseline or status quo. For example, you know that on any given day, in any given geographic region, about 10 percent of your comments are tagged with ‘delivery’ as an issue. When you check in and see that in Texas, 25 percent of negative comments coming in are tagged ‘delivery,’ that raises a red flag. You can immediately dig into specifics, read through the verbatims, and send those comments to the right people for follow up before the issue blows out of proportion. The CX dream of being proactive in solving issues can be achieved with the help of automated organization of qualitative feedback. You need to demonstrate the ROI of your CX program. Companies are eager to hop on the CX bandwagon, but it can still be a fight to get the proper resources to make a CX program thrive. You’ve probably already shown the C-suite the correlation between CX and revenue growth, but there’s pressure to squeeze a little more ROI out of what you’ve established. Investing in a tool that diverts time from passive data review and organization to strategizing, follow-up and action is an immediate, direct value-add and much less expensive than hiring a third-party human operation. On top of this, the cascading effects throughout the organization will increase ROI in the long term as well. Product teams can prioritize and build with evidence-based confidence. Marketing teams will gain an understanding of different personas and see customers excited to spread the word about your business. Support and operations teams will have early warnings of potential issues and have more context when dealing with problems. In the end, qualitative data is crucial to extracting value out of CX initiatives. Having more data from engaged customers should not be an obstacle. Text and sentiment analytics make the resources you put into CX initiatives efficient and turns the large quantity of unstructured data into an advantage by mining insight that would otherwise sit in limbo.